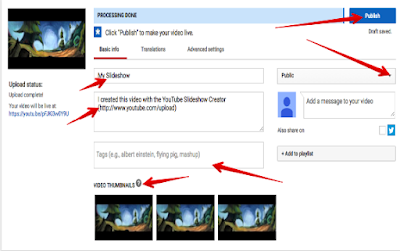 YouTube has this wonderful service called YouTube Slideshow Creator which allows you to easily create beautiful photo slideshows using a mixture of images and background audio. 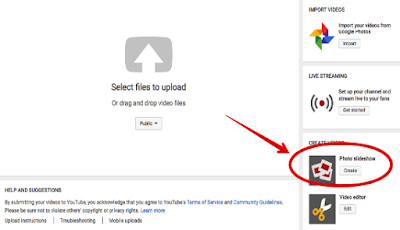 You can upload your own photos, add tracks from YouTube’s music library which has over 15,000 tracks, and upload your finished slideshow to YouTube in a video format. 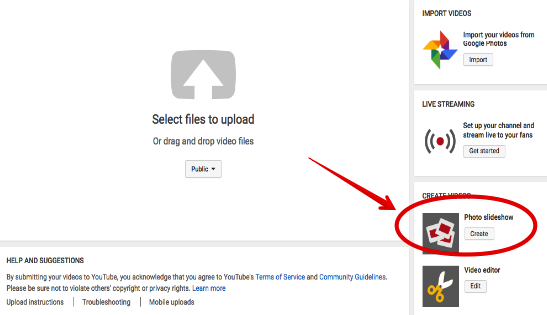 The only thing you need to use this service is to be logged in to your YouTube account. Students can use Slideshow Creator for a variety of educational purposes including: creating portfolio-like presentations documenting their learning, illustrating the main events in a field trip, creating presentations for end of school year activities and many more. 3- Upload your photos. 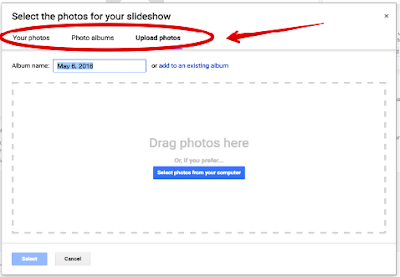 You can add photos already saved in your Google account or upload new ones from your computer then click ’Next’. This is where you can add tracks from YouTube’s music library. Tracks are arranged into different categories. 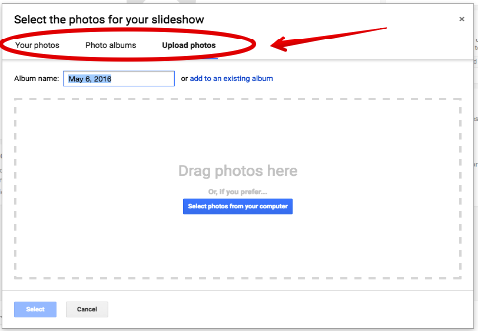 To add a track to your slideshow, click on its title. In the preview window on the left you can set slide duration ( choose from 1 to 10 seconds) and pick the transition of your choice. Once finished click on ‘Upload’. 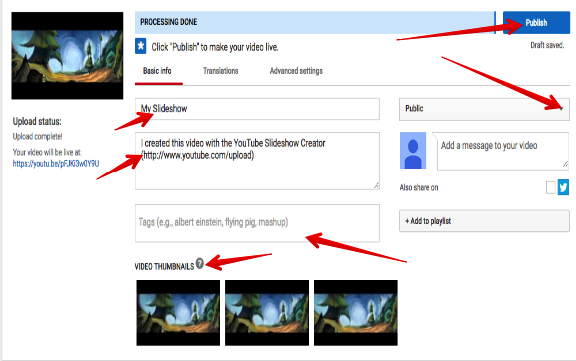 5- While your video is being processed add some more data to it such as a title, description, tags and thumbnails. 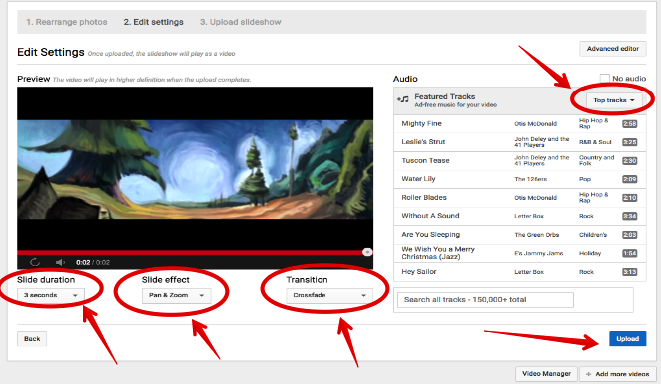 You can also edit the privacy settings of your video slideshow (e.g public, unlisted, or private). When done click on ‘Publish’ and share the link with others to view it.